Despite what people may believe, anxiety and depression are not a natural part of aging — and no one has to accept them. In fact, mood and anxiety disorders become less common as people age. But detection rates are also lower among older adults. They’re less likely to seek assistance for mental health issues. So it’s important for those around them to pay attention and offer help if they see a problem. “The risk of being complacent with thinking mental health changes are part of the normal aging process puts the physical health of millions of people at risk,” says behavioral health expert Justin Havemann, MD. The truth is, medical illness is closely tied to mental health problems in older adults, Dr. Havemann says. “Patients who suffer from psychiatric illness – particularly undiagnosed and untreated dementia, depression, and anxiety – experience worse medical outcomes and lesser quality of life than those who don’t,” he says. Who struggles with major depression? The Centers for Disease Control estimates that only between 1 and 5 percent of older adults living in the community struggle with major depression. Those estimates rise to 13.5 percent for people who require more constant care and 11.5 percent for older hospital patients. Older women are more likely to suffer from mood and anxiety disorders. Older men tend to develop more substance abuse problems, Dr. Havemann says. However, the CDC reports that less than 30 percent of older adults who need treatment actually receive it. What puts people at risk? Most older adults are not depressed, Dr. Havemann says. Dr. Havemann says pre-existing depression and anxiety, as well as bereavement – which naturally occurs more often with advancing age – also contribute. Increasing insomnia also is a factor. Brain-body changes can cause depression that occurs for the first time later in life. If blood flow is restricted, blood vessels may stiffen and block normal flow to the brain over time. The resulting vascular depression increases the risk of heart disease, stroke or other vascular illness. Medications that treat chronic conditions also may cause depression. In most ways, signs of depression and anxiety are the same for older and younger adults, Dr. Havemann says. But older people are likely to report them differently. Like younger adults, older adults have suicidal thoughts. But, while younger people may focus on hurting themselves, older adults may wish they wouldn’t wake up in the morning. Older men are more likely to commit suicide than older women. But periodic suicide screenings are a critical health assessment for everyone in this age group, Dr. Havemann says. Major depression: Symptoms are severe enough to interfere with work, sleep, study, appetite and enjoying life. Individuals can experience single or multiple episodes of major depression. Dysthymia: Persistent, mild depression that may last two years or longer. Minor depression: Symptoms are less severe and don’t last as long. Older adults – like those in any population – aren’t all the same, Dr. Havemann says. So it isn’t possible to pinpoint normal mental health levels and behaviors that apply to all or even most people. Family members, friends and caregivers should take note when behaviors and attitudes change. Call 911 if you suspect someone is in crisis. Invite someone who might be dealing with depression or anxiety out for walks. Involve them in other activities. Remind them that depression will lessen with time and treatment. Offer to visit their doctor with them. If you or someone you know has symptoms of depression or anxiety, don’t just accept it as inevitable. Working with a doctor can offer hope and improve quality of life. 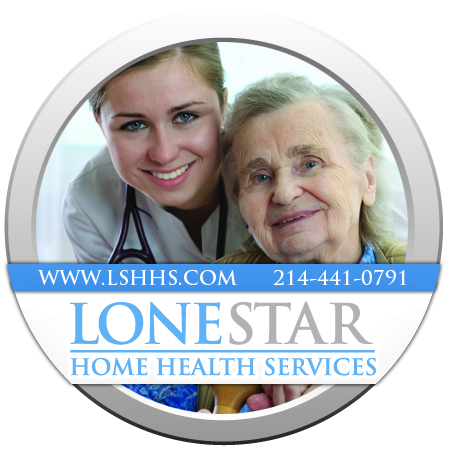 ← What is home health care?